German software giant SAP is the biggest company in its sector in Europe. It's recently seen double-digit growth in its core license business and a surge in revenue. The company aspires to become the world's leader in cloud services and software. This page collates recent DW content on the firm. European firms are concerned over the speed of technological innovation in China, Adaire Fox-Martin of SAP's Executive Board tells DW. 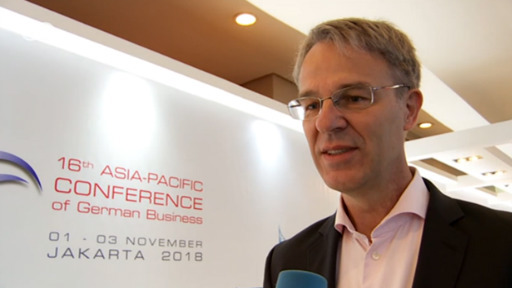 Nations in the Asia-Pacific regions are becoming increasingly important as a driver of global growth, the head of SAP Labs Networks, Clas Neumann, has told DW on the fringes of the APK conference in Jakarta, Indonesia. Europe's largest software company has announced its American unit is buying a US cloud-based human resources company, Callidus Software. The transaction requires approval by shareholders and regulators. Issues surrounding gender equality, or rather the lack of it, are being debated at the World Economic Forum in Davos. DW's Ben Fajzullin talks to SAP executive board member Adaire Fox-Martin. 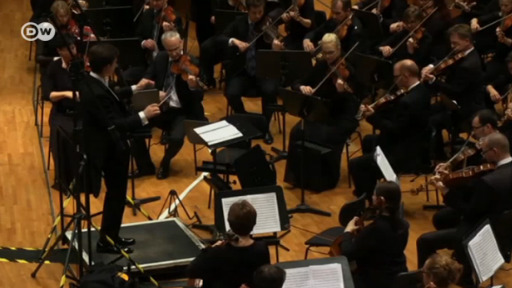 Many of Germany's largest corporations have their own symphonic orchestras. It's a tribute to the country's cultural heritage and it helps employeed to work together in their day jobs, too. The new academy that the DFB plans to build is designed to set new standards in digital match analysis. Big data is thought to be the future of football and Germany is aiming to be the world leader in this field. The practices of Indian business family Gupta have been a hot topic in South Africa for years. Investigative journalists now say German software giant SAP also paid bribes to a Gupta company. German soccer club Hoffenheim has gone digital, using high-tech programs to analyze the players’ development. And judging by the team’s performance this season, it’s paying off. Quarterly profits at the German business software giant have declined from a year ago as a result of higher staffing costs. But the company said its “soaring growth” in new cloud bookings had gathered momentum. Europe's largest business software provider, SAP, has reported a rise in earnings for the fourth quarter of last year. The results suggested the company was making progress in pushing its cloud-based services. Software giant SAP co-founder Hasso Plattner is one of the wealthiest people in Germany and a patron of the arts and sciences. He told DW why he's giving Potsdam a new museum. Potsdam near Berlin has a new museum. SAP co-founder Hasso Plattner built the freshly inaugurated Museum Barberini to house his art collection. The first show features Monet, Renoir and other Impressionists. After years in the making, Potsdam's Barberini Museum - spearheaded by patron and billionaire Hasso Plattner - is opening its doors. The first shows feature works by, among others, Monet, Renoir and Caillebotte. Are our kids prepared to face the challenges of a computerized world? And what role will artificial intelligence play in their lives? To find out, DW talked to Infosys Chief Executive Vishal Sikka. The Turkish military has said media speculation that it is planning coup is false and is designed to sap the morale of the armed forces. The military has been brought under civilian control over the past decade.